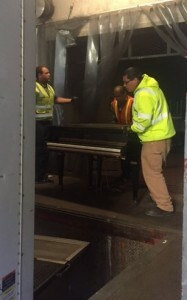 The music will go on, at least for two baby grand pianos past their prime. The instruments came from the Grand Ballroom of the Fairmont Hotel in San Francisco. 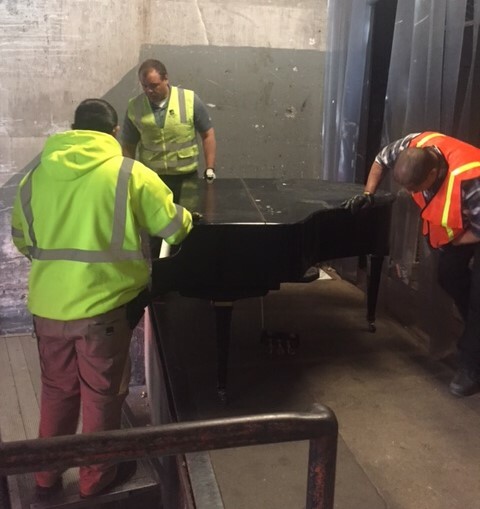 Rather than disposing of the old pianos, the hotel worked with Great Forest to find new homes for them. 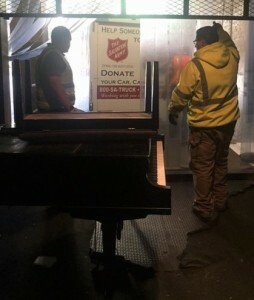 While the pianos needed a refresh and repairs, both were in working condition. The main challenge was in finding an organization that could not only use the pianos, but could also handle the move of the delicate instruments, which were heavy and fragile. Great Forest consultant James Bernard spent weeks looking for the perfect match. He reached out to churches, arts organizations, music and theater companies, and high schools, and even tapped Jo Licata, a veteran of donations at the Hilton Union Square, for additional ideas. While there was interest, there were no firm commitments. Since the Fairmont began their upgrade project last year, Great Forest has helped them to find new homes for hundreds of items, and in the process, established trusted relationships between the hotel and various nonprofits to help the hotel channel used materials to communities that need them. In the end, it was the Salvation Army, one of these trusted relationships, that made the difference. Over the past few months, the Salvation Army has helped the Fairmont keep over 100 gallons of furniture polish and 446 king and queen mattresses away from the landfill! And now they doing the same with the 2 baby grands. How big an impact is the Fairmont making with their donations? Here is a list of some of their successes over the past few months. Hundreds of lamps, utensils, glassware, irons, stainless steel water and coffee pitchers. Six large laundry bins of bathrobes, bath mats, and towels. Multiple chairs, mirrors, Christmas ornaments, trays, glassware, vases, china, and linens.